Users will be able to create, open, save files from their Android devices and access them through services like OneDrive, SharePoint, Dropbox and Google Drive. 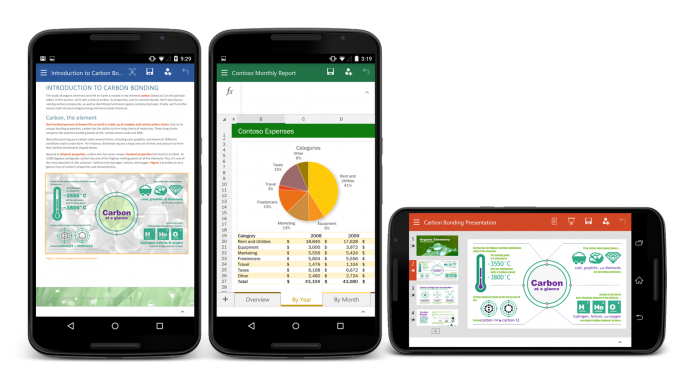 Collaboration within a group project will become easier as Office for Android allows users to track changes, comment and markup documents. These apps are optimised for touch and smaller screens, with the Menu button at the bottom of the screen instead of the top for user-friendly thumb use. To download the apps, users will have to join the Office for Android community on Google+. Once users have joined, they will receive links for downloading each app separately, for Word, Excel and Powerpoint. But be warned, users will not be able to access these links unless they are approved. Microsoft also recommends a device with at least 1GB of RAM and Android 4.4 or later versions.